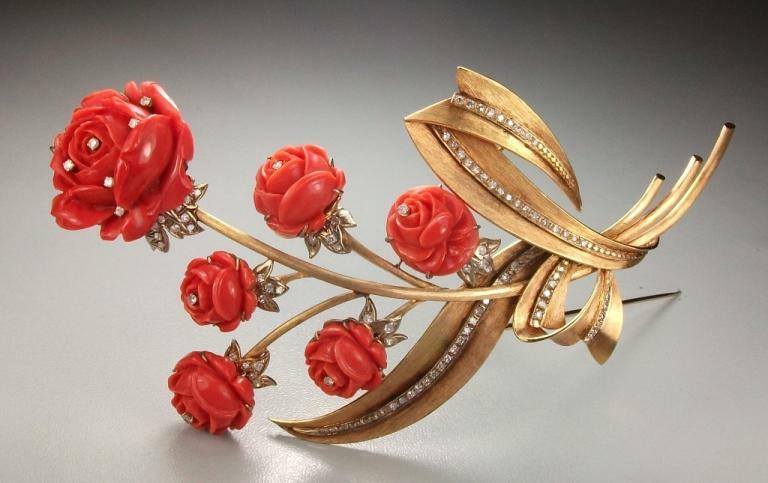 Material: Red Sardinia Coral , 18k rose gold tested, circa 91 diamonds totalling approximately 2.20 cts. Size: 5 1/8" by 2 1/2" at the widest point. 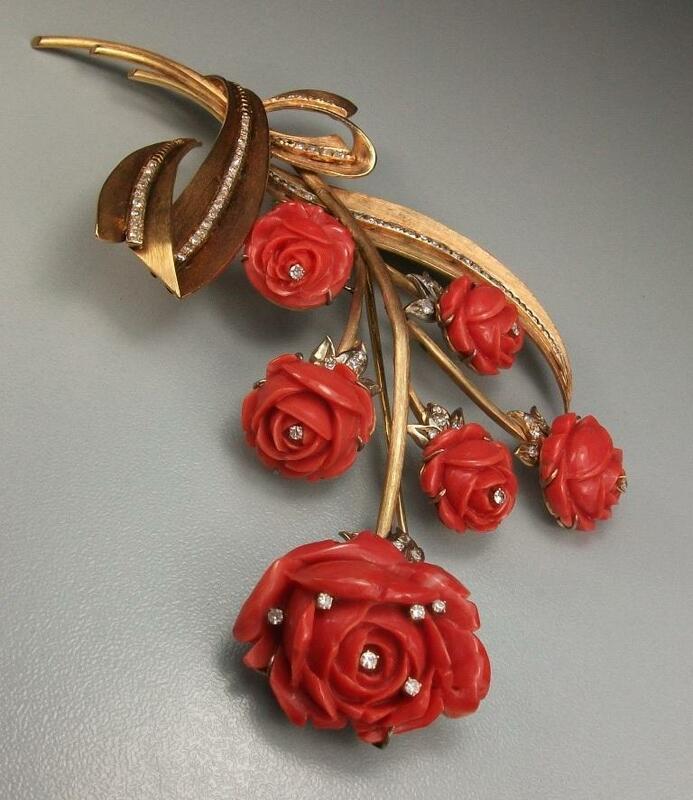 Date and Origin: Circa 1950 Italy. Conditions: More than excellent, one diamond is lost on the leaves below the largest rose, easy to replace. 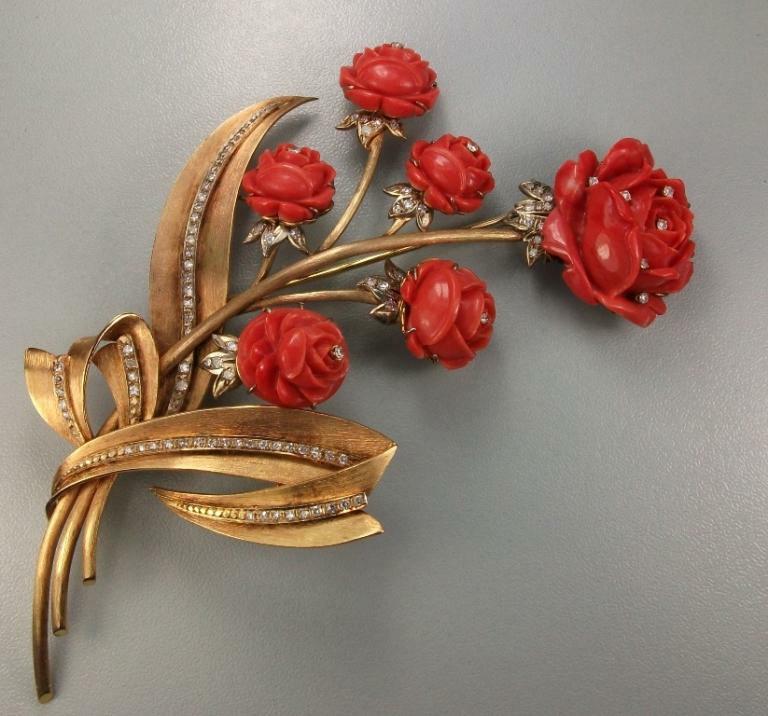 Note: The first picture shows the color of the coral, due to the lights it can vary in the other pictures. This is out of this world. 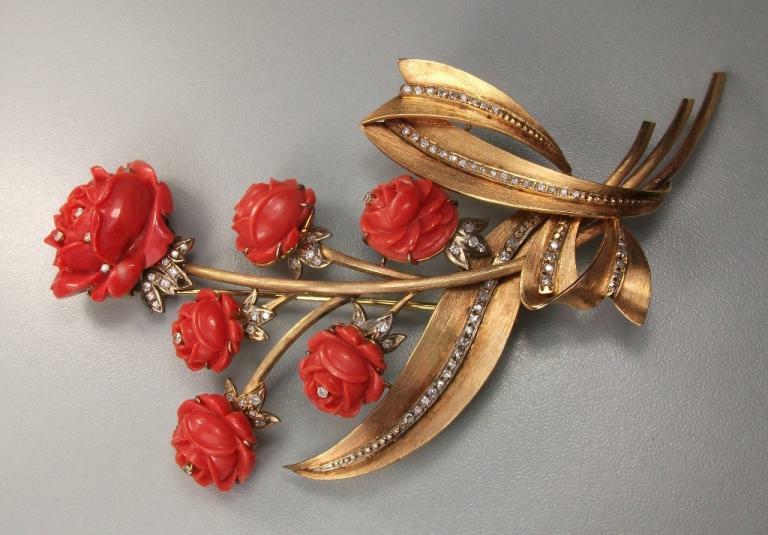 I have never seen a so huge brooch made like a bouquet of roses, each rose is a coral cameo and each rose is embellished with brilliant cut diamonds. 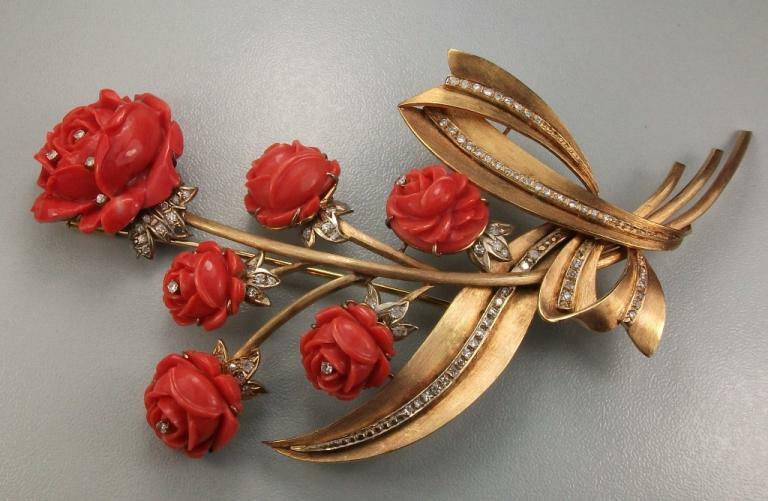 There is a larger coral rose on the brooch top which is the most beautiful one, the Queen of this brooch. 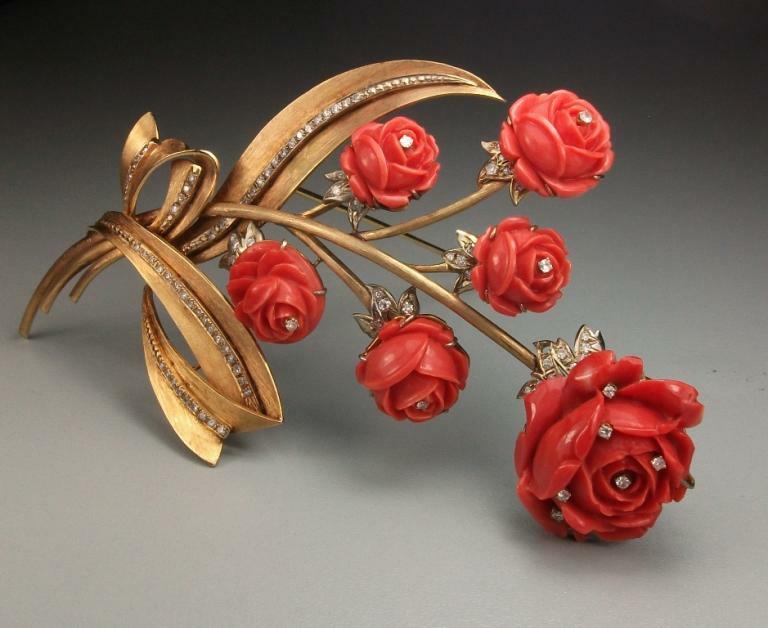 The petals are perfectly carved to give the idea of a open rose. 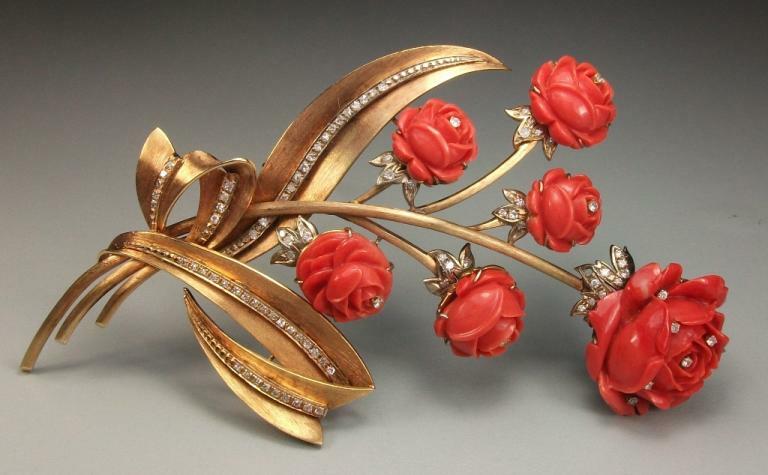 The other ones are all roses in bloom but still magnificently made. 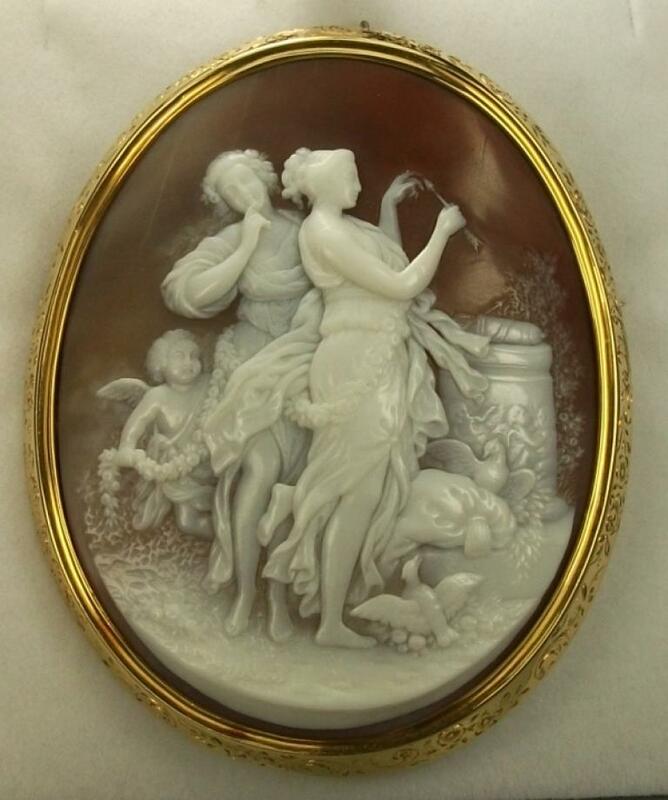 The coral cameos roses are surely the work of a real skilled artist, it is not easy at all to carve the coral so amazingly. 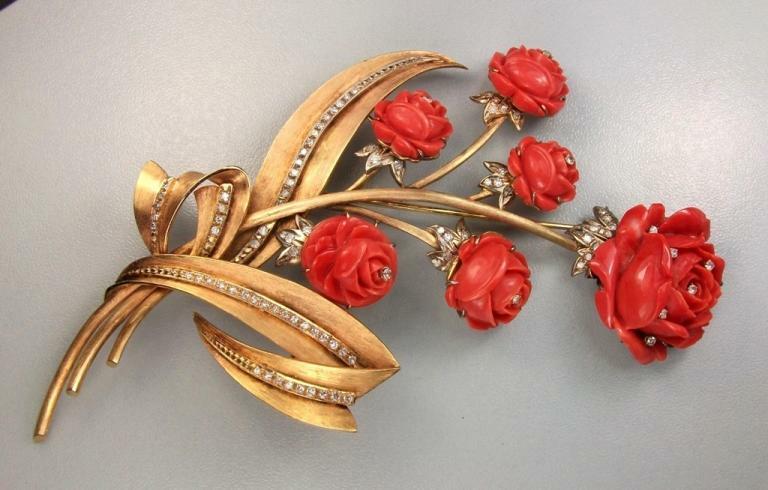 All the gold and diamonds around the roses complete this artwork. 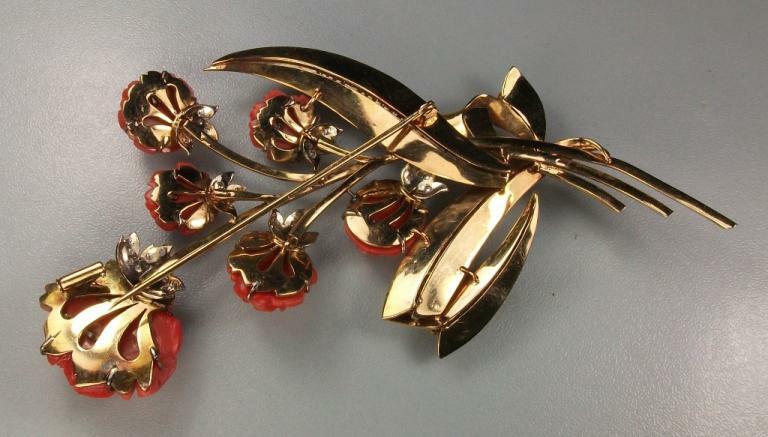 The leaves and the stems are satin and mount so many diamonds which is even hard to count them. 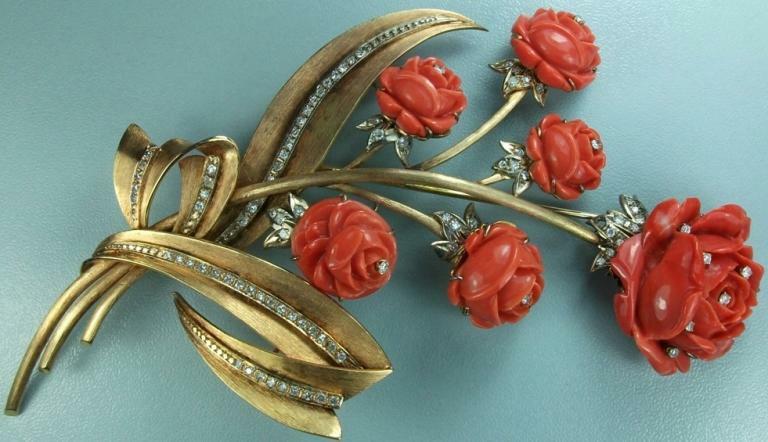 Diamonds embellish even the coral roses and the gold petals under them. 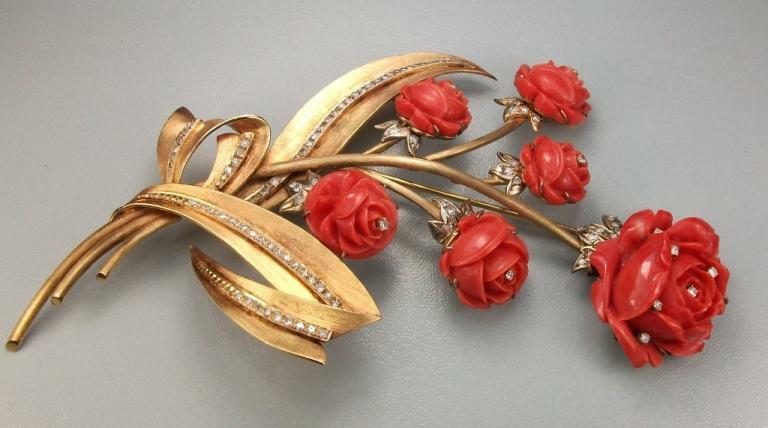 This is a really outstanding brooch, so imposing and huge that surely will be noticed. 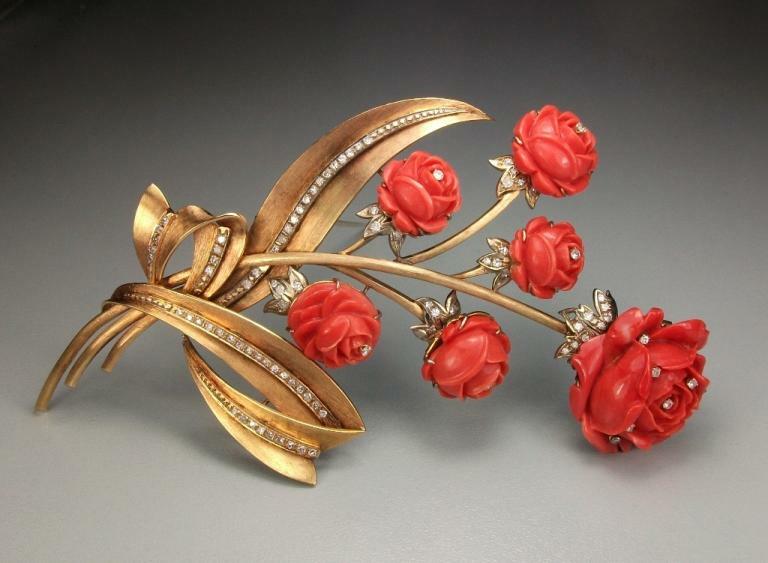 A marvellous example from the 50's jewellery, to not to be missed.